PEUGEOT 106 1.1 95-03 CATALYST NGK STANDARD SPARK PLUGS x 4 BKR6EZ  NEW! Marke Peugeot. Información del producto. 4 Bujias NGK LASER PLATINUM. MINI CLUBMAN (R55) - Mini Clubman 1.6 i Familiar 120 cv, Mini Clubman 1.6 i Familiar 120 cv, Mini Clubman 1.6 i Familiar 175 cv, Mini Clubman 1.6 i Familiar 175 cv, Cooper S 1.6 i 16V 163 cv, Mini 1.4 i Familiar 16V 95 cv. C3 (10-->) 1.0 EB0 / 68 BHP VTI 12/12 -> 97999. C3 (10-->) 1.2 EB2 / 82 BHP VTI 11/12 -> 97999. DS3 1.2 EB2 / VTi 82 11/12 -> 97999. 208 1.0 EBO/MA / VTi 68 04/12 -> 97999. 208 1.2 EB2/MA / VTi 82 04/12 -> 97999. Peugeot 605 v6 12 0r 24valve factory performance 3 electrode spark plugs set of 6. These spark plugs are compatible with the following Peugeot standard petrol engined vehicles 4 x Bosch Super 4 spark plugs. 1.9 GTi 102, 120 & 128bhp. These high-performance spark plugs operate based on the state-of-the-art surface air-gap principle. 4 X NGK PLZKBR 7B8DG Enchufes de chispa PEUGEOT/CITROEN DS3 1.6 Vti THP,, RCZ etc. PLZKBR7B8DG (90223) Supersedes PLZKBR7A-G (5843). 1.6 thp EP6CDT 160hp. 1.6 EP6 / 16V VTI 120bhp. 1.4 EP3 / 16V VTI 95bhp. C3 (10-->) 1.4 EP3 / 95 BHP 16V VTI 11/09 –>. C3 (10-->) 1.6 EP6 / 16V VTI 120 11/09 –>. PEUGEOT RCZ. PEUGEOT 207. PEUGEOT 208. PEUGEOT 2008. PEUGEOT 308. PEUGEOT 3008. PEUGEOT 408. PEUGEOT 508. BX (82-94) 14 47 K1H (TU3A) 01/89-12/89. BX (82-94) 14 53 150C Ch: Org Nr.4193> 01/86-02/93. BX (82-94) 14 E 49 150F 09/85-02/93. BX (82-94) 14 E 52 K1G Ch: Org Nr.4193> 04/83-07/89. BX (82-94) 15 59 B1E (XU51C) 10/87-05/92. 1.6 VTi 95 98bhp // 1.6 VTi 120 120bhp. 1.4 VTi 95 LPG 95bhp // 1.6 VTRi 114bhp // 1.6 VTi 120 120bhp. 1.6 VTi 120 120bhp // 1.6 VTi 120 LPG 120bhp. 1.4 VTi 95 LPG 95bhp // 1.6 VTi 120 120bhp. 1.4 LPG 95bhp // 1.6 VTi 120 120bhp. 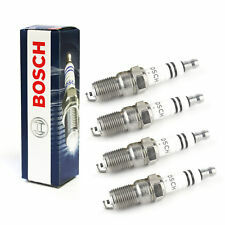 Set of 4 Bosch Super Plus Spark Plugs. Laguna II (01 - 07). These spark plugs are compatible with the following petrol engined vehicles Now Bosch brings these benefits to you in Bosch Super Plus, the longest-lasting copper core spark plug on the market. PEUGEOT 106. PEUGEOT 205. Just a matter of drop down boxes, shows all Bosch part numbers available for your vehicle so well worth the effort. 1.6i 85 B6D ( from 08/87 onward ) 08/1987 - 10/1990. 1.6 53-55 BAZ ( from 07/87 onward ) 07/1987 - 10/1987. PART NO : 5962K1. NEW GENUINE PEUGEOT 205 GTI SPARK PLUGS X 4. CITROEN FIAT PEUGEOT SUZUKI LANCIA DIESEL GLOW PLUGS.SET OF 4. Glow Plug Design: Pencil-type Glow Plug. Installation depth of a glow plug depends on the engine design. Thread Size:M10x1. Ready to fit. Peugeot xu10j4rs xu10j4 GTi and XSI factory performance 3 electrode spark plugs set of 4. 4 X Denso K16TT Bujías Para Peugeot, Citroen, Honda, Mazda, VAG, Toyota, etc. PEUGEOT 106 I (91-96). PEUGEOT 106 II (96-04). PEUGEOT 206 (98-). PEUGEOT 306 (93-02). MAZDA 323 C IV (89-00). MAZDA 323 F IV (87-94). MAZDA 323 S IV (89-94). MAZDA 626 IV (91-97). Model: PEUGEOT 107. The ultimate spark plug with its iridium center electrode and an Iridium ground electrode. 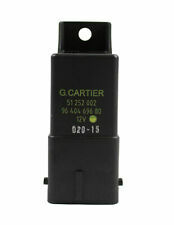 Ideal for long service intervals or an upgrade from standard copper platinum or Iridium spark plugs. Peugeot 106 mk1 RALLYE tu2j2 alloy block factory performance 3 electrode spark plugs set of 4. 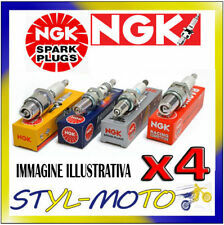 4 X Ngk-bkr6ez spark-plugs listados Para Citroen, Peugeot, Renault etc.. Type:- BKR6EZ. XSARA PICASSO 1.6 TU5JP / 8V 19mm Reach Plugs 06/00 –> 4619. BERLINGO (96-->02) 1.6 TU5JP / 90 BHP 8V 04/99 –> 02/01 4619. SAXO 1 (-->09/99) 1.6 TU5J4 NFX / 16 V Incl. VTS 09/96 –> 01/00 4619. Peugeot mi16 xu9j4 alloy block factory performance 3 electrode spark plugs set of 4. Bosch ID Number - FR8SEO. Peugeot Citroen Part no:5960F3. 1.6 16V TU5JP4, TU5JP4S. 1.6 16V EC5, EC5F. All photo's are of the actual item you will receive. RIFTER (K9). PARTNER VU (M59). PARTNER VU (K9). PEUGEOT 106. Just a matter of drop down boxes, shows all Bosch part numbers available for your vehicle so well worth the effort. 1.4i 55 KFX 05/1996 - 05/2005. 1.4 55 K5A 05/1996 - 05/2005. 1.4i 55 KFW 03/2000 - 05/2005. Peugeot 106 306 1580cc tu5j2 spark plugs set of 4. 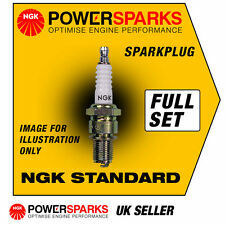 These spark plugs are compatible with the following Peugeot petrol engined vehicles 1.6 GTi 103bhp. 1.9 GTi 102bhp. 1.9 GTi 128bhp. number before placing an order. 1.6 GTi 103 & 116bhp. 1.9 GTi 102, 120 & 128bhp. 1 x SPARK PLUG SOCKET 8mm THIN WALL 12 POINT FITS CITROEN PEUGEOT RENAULT BMW MINI PLEASE LEAVE VEHICLE REGISTRATION NUMBER AFTER PURCHASE TO AVOID ANY DELAYS IN THE DELIVERY PROCESS. Engine code(s):DEW10J4 / EW10J4. (2A/2C RFR / RFN WHERE SHOWN IDENTIFIESPEUGEOT 206 WITHDEW10J4 / EW10J4 2.0 16V GTI PETROL ENGINE,NOT IF THIS ITEM WILL BE CORRECT. Model:206 2.0 16V GTi. ONLY SUITABLE FOR PEUGEOT 206 GTI MODELS . ). El electrodo de iridio de 0,6 mm da fiabilidad continua durante un largo período. ¡Amplia gama de nuevo NGK bujías! ¡Vendedor de Reino Unido! La inflamabilidad excelente de NGK Iridium IX Spark ofrece una eficiencia de combustión muy alta, resultando en más millas por galón. Please read full listing description carefuly before you order to make sure the part does fit your car. 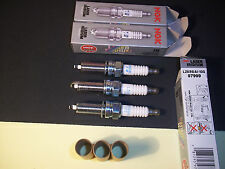 - PEUGEOT 205 GTI 1.6 1.9 1989-1996 BOSCH SUPER4 SUPER 4 SPARK PLUGS SET OF 4 NEW. 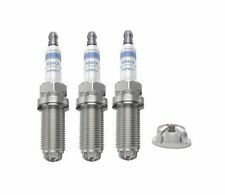 Peugeot citroen tu5jp4 tu3jp factory performance 2 electrode spark plugs set of 4. Peugeot 205 tu and xu GTi factory spark plugs set of 4. Engine code KFU ( ET3J4 ) 1.4 16 valve VVT 65 kw / 88 hp ONLY. CITROËN C4 Coupe (LA_) 11.2004 - 07.2011. CITROËN C4 I (LC_) 11.2004 - 07.2011. CITROËN C2 (JM_) 06.2006 -. Peugeot 106 306 1360cc 1580cc tu5j2 spark plugs set of 4. AX GT and RS BX 16 TRS since 07/1988, 16TGS BX, BX 19GTi, TRi, 4x4, except XM V6 -. 405 1.9 GR, SR, and GRi If SRi x4. 309, 405 1.6 GL, GR and SR. 309 SX and XS 1.6, 1.9 GTi. Peugeot citroen Champion S281yc 596215 spark plugs set of 4. Please read full listing description carefuly before you order to make sure the part does fit your car. - PEUGEOT 206 1.1 1.4 1.6 8V BOSCH SUPER 4 PERFORMANCE UPGRADE SPARK PLUGS SET. PART NO : 5960. NEW GENUINE PEUGEOT / CITROEN SPARK PLUGS X 4. PART NO : 5962. NEW GENUINE PEUGEOT SPARK PLUGS X 4.